The world of dreams awaits you! With pigs, dragons and jam-eating bears, all of your wildest fantasies can come to life! 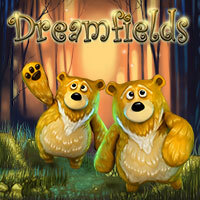 Dreamfields is the ultimate social farming game. Located in a world of dreams where each and every dream is unique, you can drift from one dream to another. Experience a dreamful fusion between fantasy and farming. It’s a 3D world made entirely of your dreams. Use your imagination and skills to become the Master of Dreams. Visit your friends’ dreams and let your fantasies flow! Daily missions reveal real mysteries and with the help of a full fantasy bar you can have cute pets! Plus, to help your dreams come true, bears are the best helpers you could ever imagine! Just don’t forget to feed them on time, these furry friends need some jam every day!